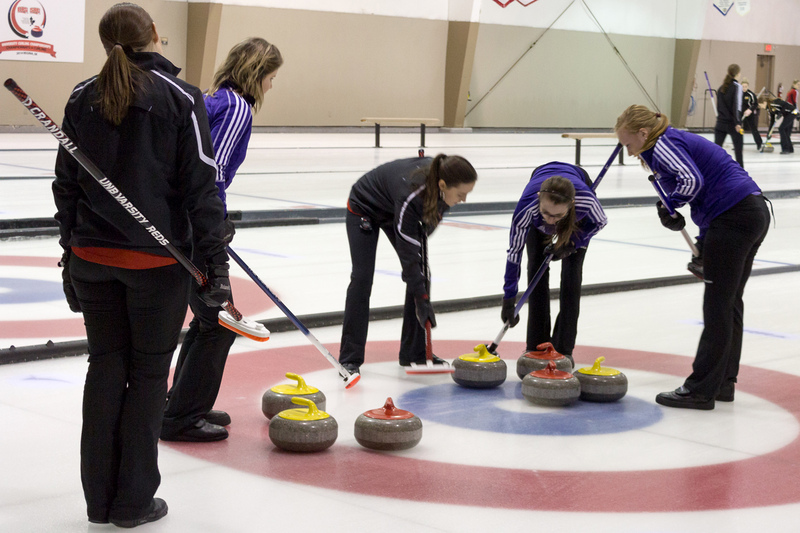 After missing nationals last year, the Wilfrid Laurier University women’s curling team managed to take home the bronze medal at the Canadian Interuniversity Sport (CIS) curling championships this past weekend in Regina, Sask. Despite defeating the Carleton Ravens in the Ontario University Athletics (OUA) final and the first match of the round robin 6-5, the Hawks were unable to replicate that success as Carleton managed to score three points in the eighth end to be the difference maker as they fell 6-3 in the semi-finals. This is the sixth medal in the last seven years for women’s curling with four gold and two bronze. “Coming off of the OUA win, we thought a reasonable outcome for us would be to make playoffs, and then once we started playing a couple games in CIS we realized that we could potentially win this,” said skip Carly Howard. After a year off the provincial podium, Howard and her rink reclaimed the gold medal in February. 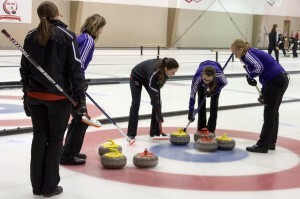 Women’s curling coach Maurice Wilson echoed Howard’s attitude. Along with the third-place finish, Howard was also named a second-team all-Canadian for the first time in her university career. Only one member of the team, lead Cheryl Kreviazuk, will not be returning next year due to graduation, ending her illustrious career with the Hawks with three OUA championships, two CIS championships, and a CIS bronze medal. “We will definitely miss her, but then the opportunity comes for another player to come on,” said Howard. With her departure, the team will need to find a replacement, but Wilson isn’t stressing about that. Wilson is still looking to make improvements in the coming year. “I’d like to see the girls take a few more risks,” he said. “I’m not sure what the team will be like next year, but I’m looking forward to it and hopefully we can have the same success that we had this year moving forward,” added Howard.